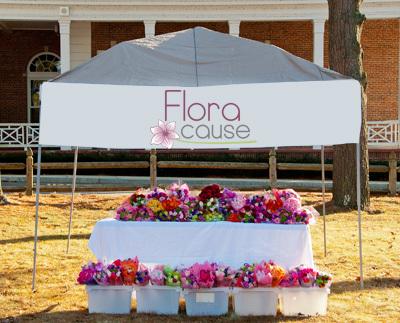 FloraCause is a philanthropic flower company that offers a variety of flower services for schools, dance studios, and organizations. The two main services we offer are floral fundraising and floral decorating. Floral Fundraising: We provide flower bouquets for purchase at congratulatory events, primarily for schools' graduations and dance studios' recitals and competitions. Floral Decorating: We provide floral decorations, including table centerpieces, stage décor, and corsages/boutonnieres, for corporate, school, and social functions. What makes FloraCause so special and unique? For every bouquet or arrangement sold, a portion of the proceeds is donated to a charitable cause and also goes towards funding for our client's institution. For all of our clients that are schools, dance studios, and cheer teams, a portion of the proceeds raised goes towards additional funding for your institution. For all other clients, including organizations, businesses, or individuals, 10% of your purchase cost will be applied as a credit towards your next order.